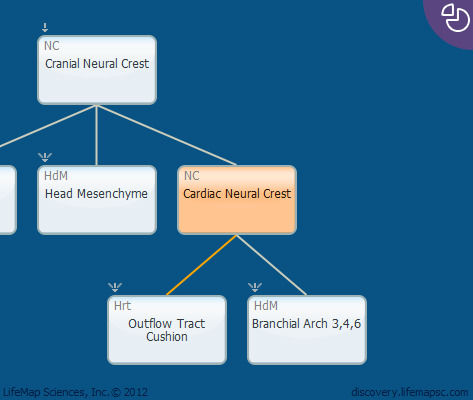 The cardiac neural crest is a subdivision of the cranial neural crest, originating in the neural folds. The cardiac neural crest is the source of all parasympathetic innervation to the heart, and is the origin of the smooth muscle tunics of the great arteries and of the connective tissue of neck-thymus, thyroid and parathyroid glands. The aorticopulmonary septum, responsible for separating the systemic and pulmonary flow outlets, also arises from the cardiac neural crest.